For shows like Homeland and Breaking Bad, there's plenty of critical acclaim to go around. But, what about our little favorites that could? Or, sometimes, heart-breakingly, couldn't? Here's our list of shows this year that didn't get all the attention they deserved. Unfortunately for the television-viewing world, this has not been the Year of Penny. Cancelled at the end of its third season after a series of bizarre scheduling moves (we're talking two random weeks of airing new episodes two days apart from each other, and then switching to new episode double-feature Fridays. Like, what?) this little comedy gem was definitely the most underrated show of 2013. With rapid-fire jokes flying by more frequently than arrows during a Hunger Games movie, the ridiculous antics of a group of six friends living in Chicago deserved much more attention and love than it got. For now, we'll just have to appease ourselves by putting some amahzing critical acclaim for Happy Endings on our vision board and hoping that Jane can make it happen. Though The Fosters has been recognized as ABC Family's new breakout series, we think this show is deserving of some more critical acclaim. Not only are the stories interesting, but the show has incredibly believable screenwriting, true to life and modest set design, and beautifully complex characters who reveal their nature through nuanced acts rather than overbearing displays. The show's ability to handle countless social issues without seeming preachy is also something that we feel is overlooked. The Fosters makes each storyline personal, allowing us to see the implications of that issue on the Foster family, rather than tackling a social issue as a "social issue" in order to state a grand lesson. 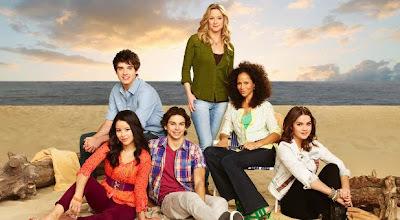 The Fosters is only in the middle of its first season though, so there's still time for the critical attention to grow. When the TV renewals were announced last year, Entertainment Weekly published a poll of the most devastating cancellations. Of course, Breaking Bad received most of the percentage, while Fringe was only chosen by a measly (but dedicated) 3% of voters. To us, this seems undeserving. Fringe, as a series, took risks out of this world (literally). Not only were the characters incredibly lovable, but the cinematography (so many J.J. Abrams lens flares!) and special effects were off the charts from the show's very first season. Fringe also wove together its seasons unlike any other science fiction show on the air. 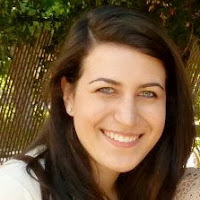 As early as Season 1, hints about the show's later seasons and information that would contribute to the series finale in Season 5 were subtly given away. Fringe also focused a great deal on the strenuous emotional development of its characters in response to the seriousness of their situations while maintaining a healthy balance of comedy. 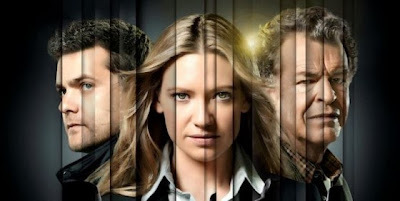 Topped at just 100 episodes, we think Fringe shouldn't be overlooked as simply another science fiction television series. And we maintain that in the alternate universe, Fringe was renewed for another season. Can someone point us to the red-verse version of Netflix? Covert Affairs really stepped up its spy game this year, to very little fanfare. Switching over from a case-of-the-week format to a longer arcing season storyline, the fourth season of Covert Affairs went dark in more ways than one. The risks this year were bigger, the chase scenes faster, and the character development ever more unsettling, and it was all able to come together because the episodes were more closely interconnected than before. 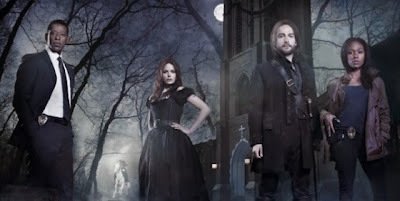 While the premise of this Sleepy Hollow might sound like something that critical minds would never pay attention to (basically, a mash-up of Washington Irving's short story and the Book of Revelation), the careful construction of this show's plot, the fact that it features a cast made up mostly of people of color, and its high-quality Biblical references, proves that it certainly warrants a closer look. When Reign was first announced, we had our doubts. But, the unique blend of contemporary music and fashion with 16th century French decorum gives the show an interesting meta quality, while also maintaining the seriousness of feuding kingdoms. The show takes surprising advantage of the history it's been provided with by foreshadowing inevitable events like the death of Prince Francis through a seer who can predict the future. This interesting blend creates a fun yet serious product. 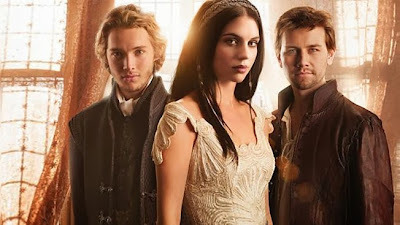 Reign is a show that likes to take risks and challenge its viewers to see history in a new way. We crown this show as deserving of some more praise. 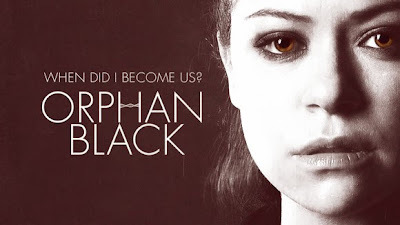 While Orphan Black's Tatiana Maslany has received tons of glowing praise for her performances as Sarah, Beth, Sarah as Beth, Alison, Alison as Sarah, Cosima, Rachel, Helena, Helena as Sarah, and even Helena as Sarah as Beth, we feel that Orphan Black itself tends to be slightly underrated on the whole. The writing is impeccable, moving at such a fast pace that each forty minute episode can contain enough information to be held in a three hour movie. Not a second of screen time is ever wasted, and the show's mysteries are slowly presented and, subsequently, solved (shocker!) in ways that always seem to leave that one tantalizing thread hanging. Themes of individuality, ownership, family, and discovery are all balanced so carefully that often the show's villains end up being our favorite characters. In a show so beautifully produced and directed, Tatiana Maslany isn't the only one who deserves all the awards.